Achieve Your Dreams - Set and achieve any goal that you want. Astromind Self Improvement - Techniques to increase intelligence, concentration, consciousness and awareness. Site includes table of contents for course book, testimonials, and order form. Create Write Now - A personal consulting firm, helps people design and live the life they want. Customizes human resource services to address individual needs and employ creative writing methods. Online survey. Dreams Alive - Learn why goal setting is hazardous to health. Offers ideas on how to discover personal passions, Life's purpose and dreams. Interactive software. Genesis Consultants, Inc. - Therapeutic and educational center with locations in Chatham, Montclair, Morris Plains, Newfoundland, Newton, South Orange, West Orange, Ridgewood, and Verona. Online articles, suggested readings, and a mental health forum. Health Journeys: The Guided Imagery Resource Center - Website offers visualization audiotapes, books, research and resources on guided imagery, a complementary medicine and holistic mind and body healing process. Heartlight Spiritual & Self Awareness - Products and information for self awareness on physical, psychic and spiritual levels. Higher Awareness - Tools, workbooks, resource lists, support, quotes, articles and links for people serious about change, fulfillment, transformation and success. Holistic Harmony Network - Various self-help, spirituality, and therapy resources. How to Conquer Embarrassment Manual - Self-esteem will triumph over frustration and embarrassment after hearing Eddie speak. The Mirror Cards Pack - A tool to help with all aspects of relationships. Professional counselling available as an additional support. The No Can't Program - Offers signs to help to ensure a positive approach to life, work, sports, spiritual issues. Can be used in the classroom, studio, gym and training room. The Place 2 Get Help - Dedicated to researching, evaluating, and offering programs and services that enhance people's personal and professional excellence. Toll free number. Rebecca Ryan Resources - An online magazine that connects people and explores possibilities regarding health, ecology, personal growth, professional development, creativity, and wellness. Self Sabotage Behaviour - Self-guided workshop on how to avoid constricting behaviour. Details of product, newsletter and presentation. Seminars - Leadership Development - Personal Growth - PSI Seminars is a professional seminar company committed to offering high quality personal development seminars for enhancing individual mastery of life success principles. Aleph One - Biofeedback and stress management products including EEG feedback monitors, books and tapes, and myo-electric instruments. Biocom Technologies - Heart rate variability analysis equipment. Includes research data and testimonials. Biofeedback Training - Biofeedback in Tucson. Biofeedback Zone - Software, hardware, and related accessories. Includes research information, forums, and product reviews. Bio-Medical Instruments, Inc. - Biofeedback and neurofeedback instrumentation including computerized, stand-alone, and related accessories. Bionetica Software - Computer software for biofeedback therapists. Includes free demonstration and technical support. Brainvibe - Light and sound machines, audiostrobe, and thoughtstream software. Chattanooga Medical Supply - Sales of biofeedback products, health care products, and products to aid daily living. Focused Technology - Physiological monitoring and feedback equipment. Futurehealth - Provides books, tapes, and most major brands of professional and consumer biofeedback systems, instruments, and supplies. Global Quantum Quest - Contains information, products, resources, and support. Heart Rate Variability - Nerve-Express provides a quantitative assessment of the Autonomic Nervous System (ANS) based on Heart Rate Variability (HRV). International PCE Network - Sells devices for biofeedback training for the individual user. iProducts - Light and sound therapy equipment and biofeedback systems. J&J Engineering Inc. - Manufacturer of biofeedback and physiological monitoring systems. Life Systems International - Training products for memory, stress management, and mental health. Also offers nutritional supplements and books. Light and Sound stimulation and Biofeedback - Biofeedback and Light and Sound devices for optimizing your state of mind. Luxe Vivant - Devices combining neuro-linguistic programming with music, sound effects, and binaural beats to help induce a relaxed state. Also offers bath products and books. Manufacturer of Mind Machines - Biofeedback, Light and Sound, and hybrid systems for the serious mind tools experimenter. In business since 1987. Links to U.S. and International dealers. Informative site. Mind Tec, Inc. - Auditory and visual stimulation devices for increased focus and stress relief. Mindmachines.com - Manufacturer and retailer of Light and Sound Stimulation machines. We also offer unique Herbal Products. MindPeak - Manufacturer of neurofeedback and biofeedback equipment and software. MOE Electronics Research and Production - Biofeedback instruments for personal or professional use in stress reduction therapy. NeuroDyne Medical Corp. - NeuroDyne Medical Corp. manufactures biofeedback and real-time EMG equipment. Neurofeedback Equipment for Peak Performance - Neurofeedback equipment for better concentration and attention, relaxation, and immunity to stress. Neurophone - Ultrasonic neuropathic stimulation for instrument for brain entrainment, aiding in learning, relaxation, and meditation. The Pain Relief Center - Biofeedback devices, along with books and tapes for pain management. Also offers a newsletter and related resources. Photosonix - Audio and visual stimulation devices, light and sound machines, and accessories. Psychometric Research - GSR meters designed for hypnotherapists and psychotherapists. Quantum Life - QXCI device designed to harness the unconscious self, and healing power of the human body. Relax UK, Ltd - Light and sound therapy, biofeedback machines, and audio programs. Also offers brainwave stimulator CDs and relaxation tapes. Remedial Neurofeedback Training - Neurological education for the brain. Ress Tech - Offers hand-held machines for electro-neurostimulation therapy. Scenar - Self-Controlled Energo Neuro Adaptive Regulation machine, stimulating the nervous system to heal itself. Includes product history and how it works. Schuhfried - Computer aided biofeedback systems and software, psycho-physiological tests, and diagnostic equipment. Sensed - Relaxation products for brainwave entrainment, biofeedback, and mind journeys. SOM Biofeedback - Developer, manufacturer and distributor of biofeedback and psychophysiological instruments. Professional instruments and home-trainers. Stens Corporation - Biofeedback training program and instrumentation distribution firm. Tools & Techniques - BrainMaster, BT5pro, NovaDreamer, NovaPro, WaveRider, Hemi-sync and other relaxation devices. Tools for Wellness - A large source of alternative medicine products and information. The Wild Divine Project - Inner-active computer adventure that teaches ancient meditation and breathing techniques using modern biofeedback technology. Between the Generations - The work of author John Kotre on autobiographical memory, psychological development across the life span, and concern for future generations. Details of books, courses, organizations and other resources. Calmer Solutions - Series of relaxation and stress self-help CD’s authored and narrated by Dr Patrizia Collard and Waseem Alladin. Chaange Inc - Books and tapes offering treatment for anxiety, agoraphobia, as well as self-esteem. Elayne Savage - Details of the author's two relationship self-help books, "Breathing Room" and "Don't Take it Personally". Family Growth Publishing - Publishers of self-help and Christina Counselling oriented books and materials. Overcoming Shyness and Anxiety - Hypnosis cassettes to overcome shyness, social phobia, and anxiety, and to build a sense of self worth and self esteem. RealRelationships.com - Drs. Les and Leslie Parrott's resources and bookstore for nurturing healthy relationships. Self Help Books - Self-help books, ebooks and audio materials. The Self-Esteem Institute - Offers PDF and hard-copy publications, with author biography and testimonials. The Self-Help Classics: Transform Your Life - More than 50 commentaries on the classic works of self-help, success, motivation, popular psychology, and philosophy. Information boxes on each author. Susan Jeffers - Author of books on overcoming fear and building self confidence. Biography, book previews, affirmations and news. Taking Flight - Healing and spiritual growth books, videos, CDs articles, and speaking. The Transformation Handbook - Interactive resource book for individuals desiring transformation in their current way of life. Alpha Cushions - Handmade meditation cushions, mats, and stools. Also offers yoga mats and posture stools. Amida - Meditation products for a variety of spiritual traditions including crystals, cushions, books, and clothing. Atlantean One Meditation Helmet - Copper and crystal helmet for enhancing meditation. Balance and Power - Moving meditation program on tape and mandala paintings, also offers information on meditation seminars and events. The Biosound Method - Meditation program that helps release tensions, dissolve stress, and improves physical, mental, and emotional health, includes program description and expected benefits. Blue Pearl Enterprises, Inc. - Meditation and massage cushions and mats, timers and clocks, and candles. Children's Guided Meditation - Guided meditation for children, and chakra doll. Complete Human Being - Educational program to be healthier, more spiritual, achieve weight loss, and be more successful. Dance of Life - Meditation bench hand sculpted from domestic hardwoods. Includes wood choice options and photo sample. Finger Labyrinths - Handmade ceramic finger labyrinths. Harmony In Design - Ergonomic meditation and yoga products, includes catalog and testimonials. Inner Concepts - Offers a program teaching one to gain control of their life through meditation and focusing techniques. Includes workshop schedule and message board. Jon Shore - Books, tapes, and CDs for meditation, relaxation, and stress reduction. Labyrinth Products from Relax 4 Life - Labyrinth items including finger labyrinths, jewelry, decorations, gifts, books, tapes, and other meditation and relaxation products. Love, Joy & Peace Creations - Handmade finger labyrinths, meditation lanterns, and prayer stoles. Mala Quest - Prayer beads used as a meditation tool to connect ourselves to our true nature, includes available designs or a design-your-own option. Meditation Bench - Benches and cushions, shawls, worry beads, and kneeling mats. Meditation State - Twelve week programs to create authentic happiness for body, mind, and spirit. Mind Tek Research - Courses, books, and cds to teach meditation. Also offers remote viewing training. 30 Minute Mandalas - A book on active meditation and coloring therapy. Pema Design Studio - Meditation and yoga support products including pillows, traditional mats, and wooden seats. Sage Meditation - Cushions and mats, timers and clocks, and candles. Serenity Seats - Meditation cushions made from buckwheat hull, also offers general meditation information. Serenum Design - Handcrafted, wooden timer using chimes instead of buzzers. The So Lucky Company - Cards printed with mantras to remind of the mindfulness practice. Stillpoint Creations - Handmade silk and wool meditation and yoga blankets. TAO Totem - Meditative tool for relaxation, focusing the mind, and self help. Tones for Health - Combines sound and color meditations into a software package which can be used for personal and global meditation therapy and healing, includes program features and expected benefits. The Tranquilities Series - Guided imagery programs blending nature sounds and music with aromatherapy to reduce stress, promote healing, and increase overall health. Vaaak Sounds - Guided meditation CDs and videos, prayer beads, incense, and related meditation and personal transformation products. Vantage Quest - Uses harmonic tones to achieve deep altered states of consciousness for creativity, relaxation, meditation, health, and personal transformation. Water Prayer - Engraved glasses to enhance prayer, meditation, and personal healing. Yantras by Sally Rose Dolak - Hand embroidered Yantras which are tantric symbols used for meditation and increased awareness. Zen Clock Meditation Timer - Wooden meditation and reiki timers shaped as pyramids. Disclaimer: The external links provided herein are third-party links. We do not have any control over them and we cannot guarantee their accuracy or their authenticity. 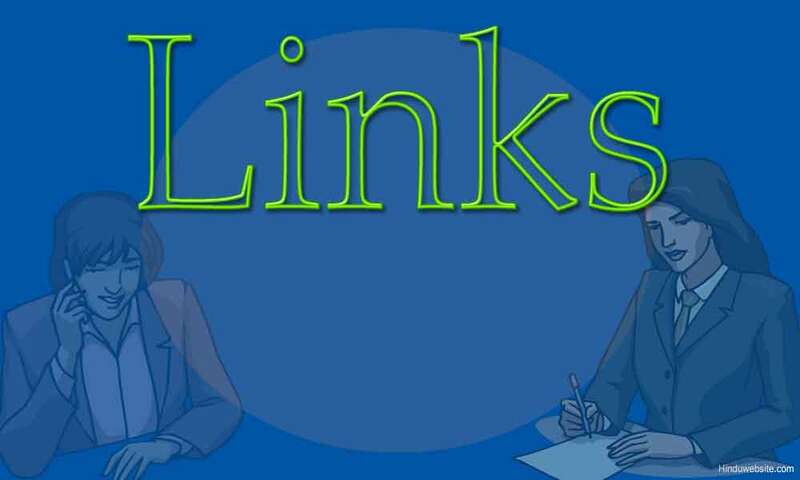 The links are being provided as a convenience and for informational purposes only; they do not constitute an endorsement or an approval by Hinduwebsite.com of any of the products, services or opinions of the corporation or organization or individual. Hinduwebsite.com bears no responsibility for the accuracy, legality or content of the external site or for that of subsequent links. Any transactions that you enter into with a vendor, merchant or other party listed in this site or linked from this site are solely between you and that vendor, merchant or other party. Contact the external site for answers to questions regarding its content.